Let It Be has been created by Rain, a production company which began life as a tribute band but went on to make a hit Broadway show about the Fab Four. The show will feature more than 20 hits by Paul McCartney and co and will open at London's Prince of Wales Theatre - where the quartet famously played a 1963 Royal Variety Performance. 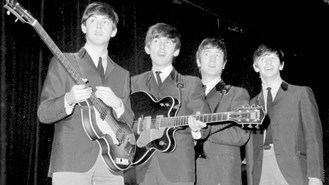 The four-month run opens on September 14, just less than a month before the 50th anniversary of The Beatles' debut single Love Me Do being released. Tracks to feature in the show include A Hard Day's Night, Day Tripper, Sgt Pepper's Lonely Hearts Club Band, Strawberry Fields Forever and Get Back.